Foxi Snax uses only the highest quality raw materials available in S.A. for manufacturing. The products consist mainly of maize grits and flavours, which are supplied by the leading suppliers of maize and flavours in S.A. All Foxi Snax suppliers conform to the very strict European standards and are HACCP and ISO accredited. 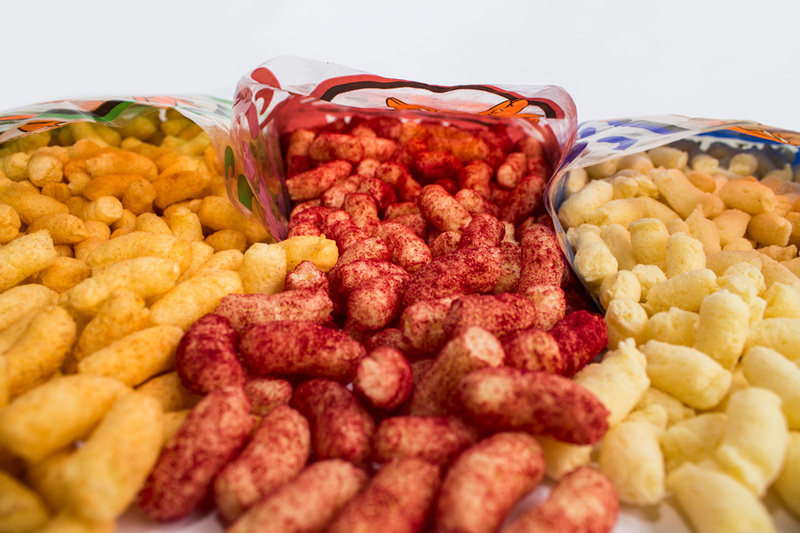 Our suppliers also supply all the leading well-known snack brands in S.A.
As from 2008 all Foxi Snax products display nutritional information on the packaging as required by law. Although a costly exercise, each snack variant was tested separately by the SABS / CSIR. It is very important to Foxi Snax to offer consumers “a value for money” product. 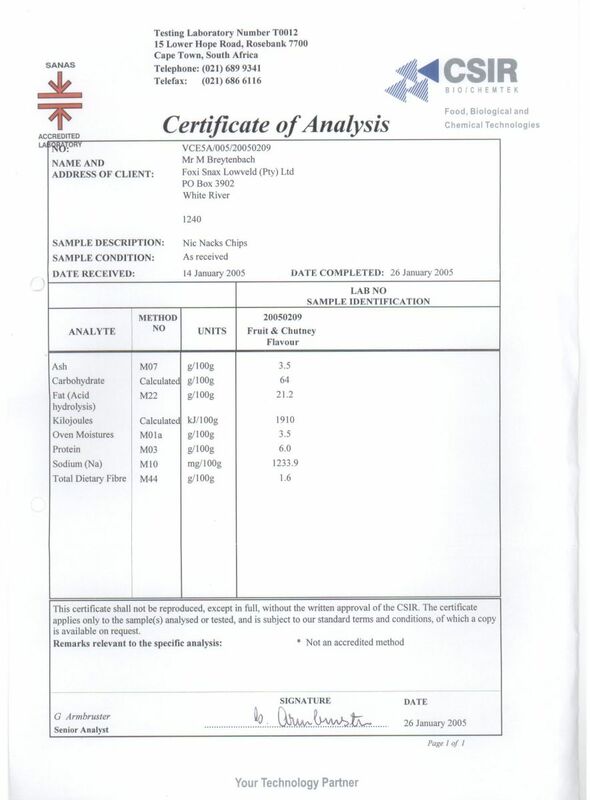 Therefore clear film (B.O.P.P) is preferred over foil, and B.O.P.P can be recycled whereas foil can not be recycled. It is less expensive than foil and contrary to popular belief carries similar shelf life times as foil. Foxi Snax products are not stock piled and is basically manufactured on demand, therefore always guaranteeing fresh snacks. Foxi Snax has taken various steps over the past few years to ensure healthier products, and is committed to devote an increasing level of resources and effort in advancing this process. It is important to note that the colour of the Foxi Snax products is notably lighter than some other snack brands. This is due to the fact that Foxi Snax does not colour the base (maize grits) of the product before extrusion (it has never been done). 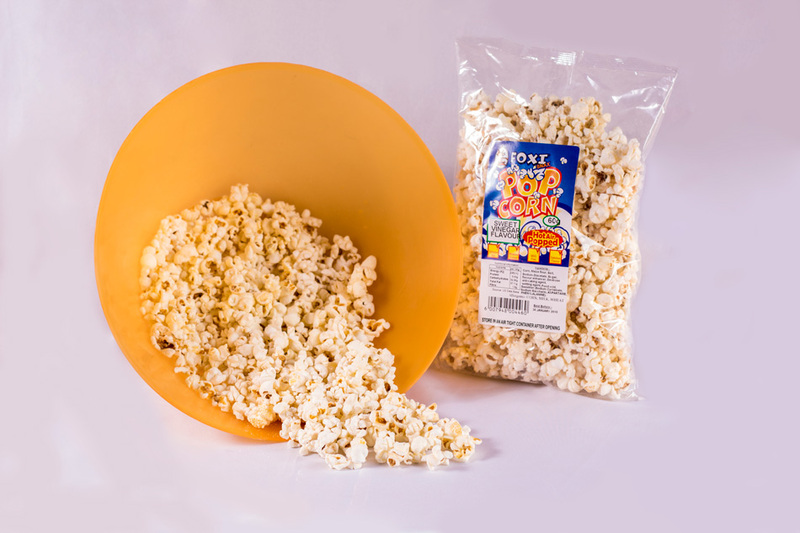 The colour of the snacks base is determined by the colour maize grits used during extrusion, namely yellow or white grits (or a mix of the two). The flavour (spices) contains no artificial colourants (azzodyes) and no tartrazine (it never had!). 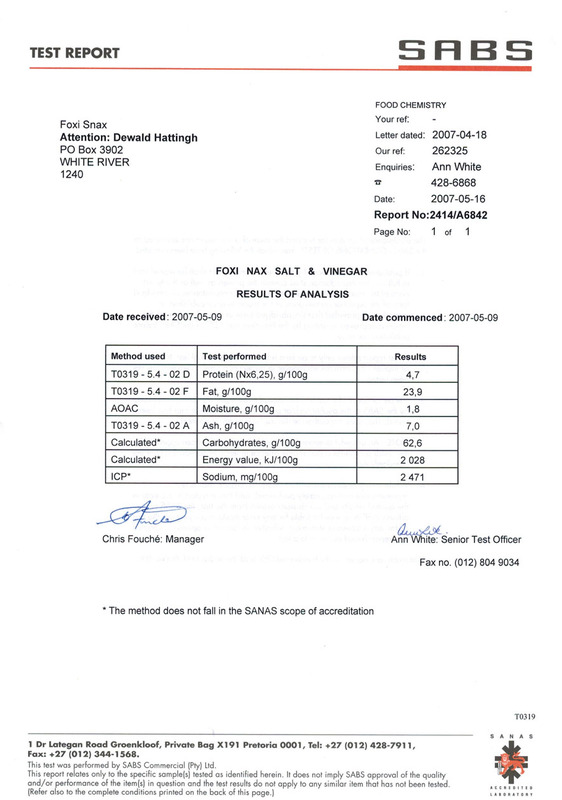 Foxi Snax has also reduced the salt content by 5% on all the flavour variants, all of which ensure a healthier snack. However a balance must be found to ensure an appetizing snack with visual appeal. There are a number of occasions were users of flavourings request that colourants be added to the flavours in order to ease their production process. This is particularly true of companies manufacturing savoury snack foods. The colourant level in any ready-to-eat product clearly depends on what has been added to that product during its manufacture. 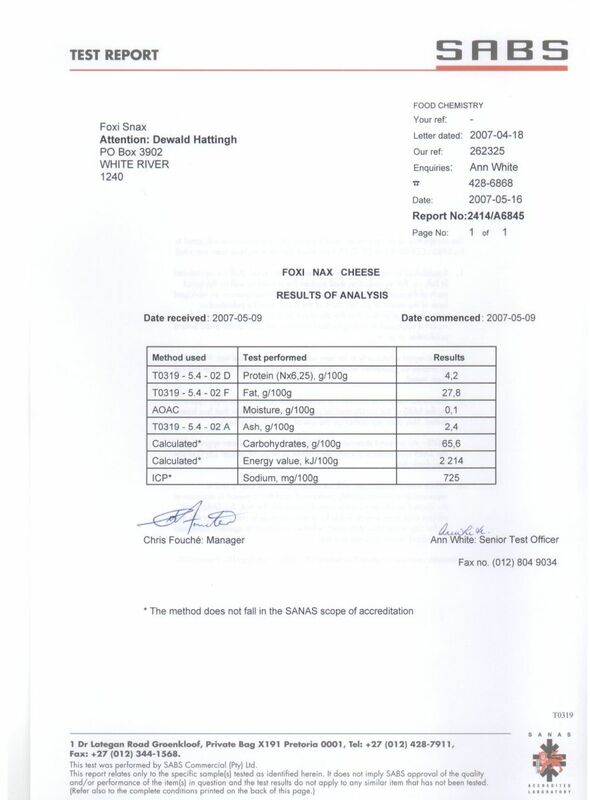 In most cases where a colourant has been added to a flavouring to be used at a given dosage level in production, the level of colourant in the ready-to-eat product will be within the legal limit. All of Foxi Snax’s Flavour Houses (SAAFI members) ensured that after 15 May 2005, all products leaving their factory gates conform to the regulations relating to food colourants, when used at the recommended dosage. 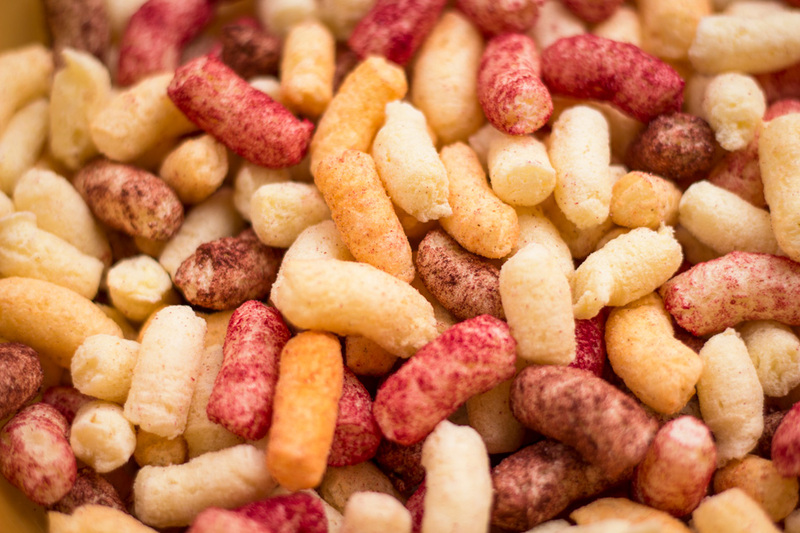 The maximum levels of extruded or expanded savoury snack products may not exceed 200mg colourant/1kg product. Foxi Snax flavourings conform to the regulations relating food colourants. 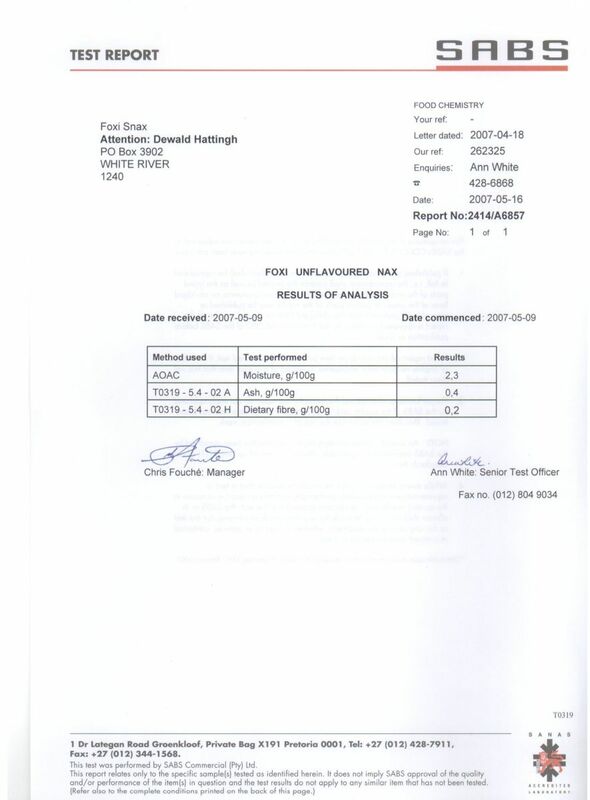 Foxi Snax does not add any colourants whatsoever in our manufacturing processes, and never has. Further more Foxi Snax Lowveld(Pty) LTD conforms to the prescribed dosage levels as prescribed by the Flavour houses.